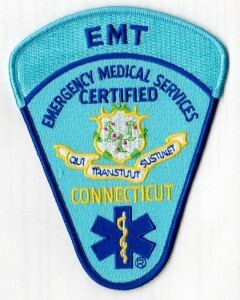 Graduates of State of Connecticut approved Emergency Medical Technician (EMT) programs seeking state certification and/or national registration as an EMT. 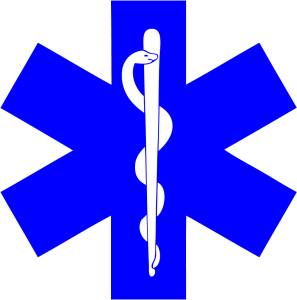 The CT State EMT Practical Exam is the psychomotor (practical skills) portion of the testing process leading to State of Connecticut certification and NREMT registration as an Emergency Medical Technician. This practical exam is one part of a two part CT certification process with the other part being a cumulative written exam administered by the National Registry of Emergency Medical Technicians. This CT State Practical Exam is administered under the strict direction and oversight of the State of CT Department of Public Health (DPH) Office of Emergency Medical Services (OEMS). The complete exam consists of a five station exam process. All five stations must be passed in order to successfully pass the exam. If only one station is failed then the candidate must meet with their EMS instructor for retraining, at which time the skill will be signed off and submitted to the State. If two stations are failed then the participant must schedule and take a 2 Station Retest which only requires retesting those failed stations. If 3 or more stations are failed then a complete exam must be retaken which requires testing all five stations again. Candidates must be listed as successfully completing their EMT program by their EMT program instructor on a “T4 form” on file with the state Office of Emergency Medical Services or the State of CT will not allow testing. Registration for an examination must be received and paid in full 15 days prior to the exam. No registrations will be accepted after that time. This is required by DPH OEMS and not by CPR Training Professionals. Your test date will be confirmed as indicated in the confirmation email you will receive. Prior to calling CPR Training Professionals to confirm your test date, please verify that the email has not been placed in your spam email folder. All candidates must bring positive proof of identity in the form of a government issued PHOTO ID (Driver’s License, Military ID, or Passport). You will not be admitted to the test without an acceptable photo ID. You will not be provided any exam results on the day of the exam. Your results will be sent to your Course Coordinator by the CT Office of EMS once they are processed. CPR Training Professionals does not have access to your examination files; therefore specific questions or complaints regarding the outcome of your exam should be directed to the Chief Examiner who is assigned by the State of CT.